When you decide that you’re ready to buy a home, one of the first things you’ll have to do is determine which neighborhood you want to live in. There are dozens of different neighborhoods in the St. Louis area, each with their own strengths and weaknesses. There are plenty of homes for sale in St. Charles, MO, just outside of St. Louis, and it’s a popular area for many people—especially families. But, as with any neighborhood, it’s important to do your research first before browsing St. Charles real estate to be sure it’s the right area for you. The average home price in St. Charles, according to real estate website Zillow, is about $179,000, and home values have risen almost 7 percent in the last year. 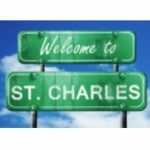 St. Charles is also a great neighborhood for adults and children alike. Between the historic downtown, The Family Arena, Ameristar Casino, and various parks, shopping centers, and restaurants, there’s something for everyone. Aside from deciding on a neighborhood, choosing the right real estate agent is the most important part of buying a new home. Not all St. Charles, MO, real estate agents are equally qualified, so it’s crucial to do your homework to choose one who can help you find the best deal. When searching for St. Charles Realtors, be sure to look for someone who has experience buying and selling homes in the area. It’s also a good idea to schedule a time to meet in person to be sure your personalities mesh, because it’s tough to trust someone with the biggest investment of your life when you don’t get along with them on a personal level. Once you’ve decided that St. Charles is the neighborhood for you and you’ve chosen a real estate agent, it’s time to begin your home search!